Our brand new straightpull-hubs are our pride. Difficult internal structure and sophisitcated milling-jobs on the outside structure were necessary to finalize these hubs. The hub-body is oversized and at the same time very light. The spoke holes are dirlled with 3D angles in order to give the spokes a direction for 3.5 X lacing. The rear hub has optionally titanium pawls and a titanium gear-ring. Both hubs have bearings which are light and strong enough, that the hubs can be used on Corss-Country bikes. We offer various conversion-kits to make the hubs compatible to fit to all major standards. The hub body is made from forged 7075 T6 material - just a few manufacturers forge the hubshells with this material in order to get the maximum strengh out of the hubshell. 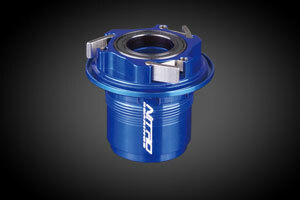 All other hub parts, such as the axles, the freewheel body and the sidecaps are made from 7075 T6 material as well. The front and the rear axle have a diameter of 17mm at the bearing seats. Weight reductions were realized by removing axle material on the outside structure where it is not needed. Another feature of our hubs are the anodized axles, which prevent from oxidation and corrosion. The freewheelbody has 3 pawls, the gear-ring has 24 teeth. This configuration ensures a hub drive system which lasts. 24 engagements is a reliable choice which will still work after a certain usage, even the teeth and the gear-ring show a little bit wear. Other manufacturers strive for excessive engagement points. Due to the micro structure of the gear-ring and pawls, these systems tend to wear out quite fast and fail to work even just a little bit of water gets into the hub. 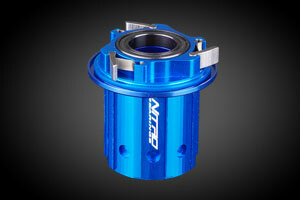 Soon available are rear hubs with a titanium gear-ring and titanium pawls. 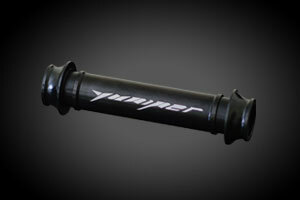 This will reduce the weight of the rear hub by approximately 10G. Front axle with sidecaps to convert our front hubs to 5mm quick release system. Front axle with sidecaps to convert our front hubs to 15mm through axle. 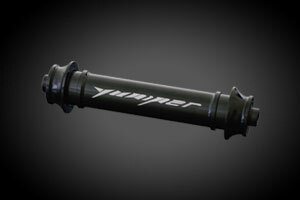 Rear axle with sidecaps which converts our rear MTB-hubs to a 12mm system with a hub width of 142mm. 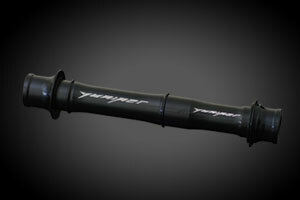 Freewheelbody XD / XX1 compatible. This freewheelbody is SRAM XD / XX1 compatible and fits to our rear hubs. Freewheelbody Shimano compatible 8/9/10 speed. This freewheelbody is Shimano 8/9/10 speed compatible and fits to our rear hubs. 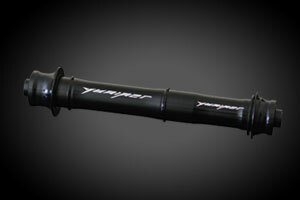 Freewheelbody Shimano 11 speed compatible. This freewheelbody is Shimano 11 speed compatible and fits to our rear hubs.